At eight years old, she is beginning to expand her interests, but she always has time to play her favorite games with those special to her. 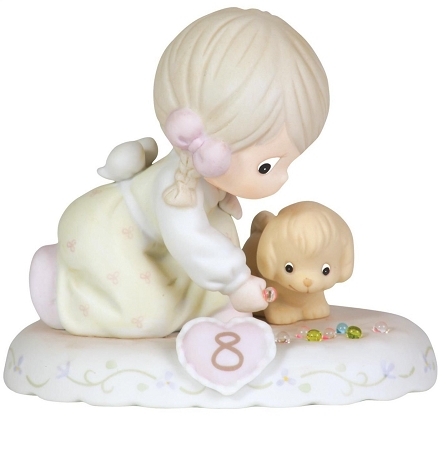 Show her how much you adore her playful side with this sweet Growing In Grace figurine, also available in brunette. It is the perfect way to celebrate her eighth birthday; look for other pieces in the series to honor all her birthdays through age 16.